Tasted 08/05/14 from a Riedel Tequila Glass. Appearance: Crystal clear pale straw color. Aroma: Mild agave, with hint of oak and light fruit notes, i.e. pear and honey. Initial Taste: Agave, caramel, oak, spice, and mild fruit. Body: Medium-light body with medium tears; very light buttery mouth-feel. Flavors are well balanced. Finish: Short to medium smooth finish with peppery agave that is complimented with hints of caramel, oak, and spice. Presentation: Very distinctive hand-blown red bottle with a colorful “old” Mexico label. This is a smooth and balanced anejo but the flavors besides agave are light and the fruit flavors were difficult to discern. It is not bad for sipping, it’s just that nothing really stands out. The current retail price for Corralejo Anejo in Southern California is in the $37 to $49 range. It is a pretty good value around the $30 price point if you can find it on sale. Corralejo Anejo is one of my favorite anejos! A body and finish that are absolutely spectacular! The flavor is rich and full. An incredible sip across the board. For most this will be priced on the high-side, but it will be quite average for more experienced tequila fans. The presentation is elaborate with bottle that is a striking red that looks handsome in any setting. :) handsome in formal settings. Stand up for a formal salute for this drink! This is my last review of the Corralejo line. I've been really impressed with rest of the line. Very good flavor and really good value. I hope the anejo is as good as his younger siblings. Aroma: Sweet cooked agave, vanilla and light citrus. Initial Taste: Agave, vanilla and a bit of earth and citrus. Body: Light anejo body. Not oily at all. Feels more like a reposado. Light vanilla, oak and spice (mostly pepper). Finish: A light finish that lasts a fairly short duration. Agave, light oak, pepper and a hint of mint. Good, but not memorable...but very smooth as well. 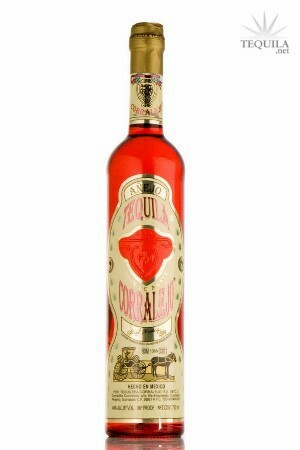 This tequila is a pretty good value, but I think that I like the reposado better overall. Corralejo anejo is versatile enough to be sipper or a mixer and light enough to please most palates. I like it, but I don't really love it. 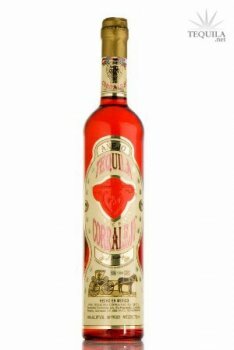 The red bottle looks great, it's widely available and the price of under $40 is very good. I'd recommend it, but I'd recommend the blanco and repo from Corralejo more. Had it not been for a local bar that had me try a shot of this tequila I probably would have never tried it and that would be a shame as its in my top 5 favorites. You would NEVER think a $35 Anejo could be this good. The nose and the finish go so hand in hand together and thats an awesome thing because the nose is buttery/cream/butterscotch. There is a very minimal bit more alcohol burn than I would like but the finishing flavor is just so buttery. So glad I discovered it. i don't care for any of this brands tequila, just don't like it.